Main Event - Bantamweight Fight - Jimmy Flick (10-3) caught Johnny Bedford (23-13-1) in a D'Arce choke to win by technical submission at 3:09 in round three. Co-Main Event - Bantamweight Fight - Miles Johns (5-0) defeated Levi Mowles (6-3) by unanimous decision (30-27, 30-27, 29-28). Catchweight Fight (140 pounds) - Steven Peterson (15-5) caught Ryan Hollis (12-11) in a rear naked choke to win via submission at 1:43 in round two. Welterweight Fight - Geoff Neal (7-2) knocked out Bilal Williams (8-4) at 4:43 in round one. Featherweight Fight - Damon Jackson (12-2-1, 1 NC) submitted Eliazar Rodriguez (8-7) with a rear naked choke at 3:49 in round one. 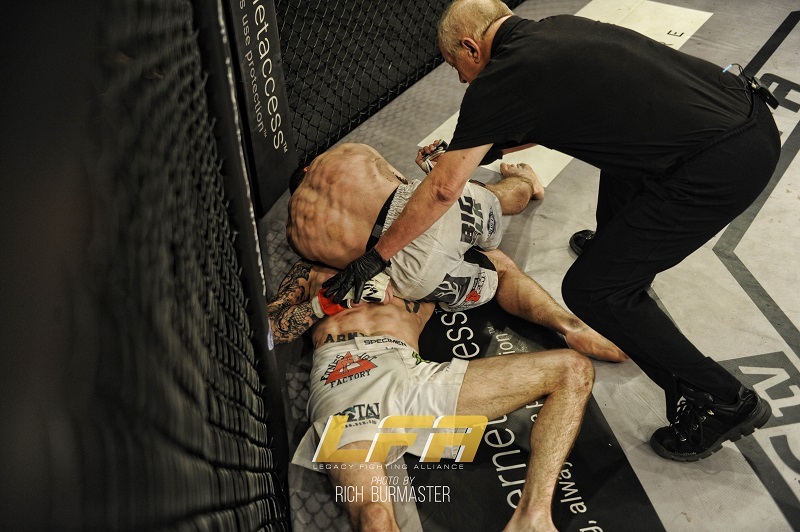 Bantamweight Fight - Brandon Lewis (4-0) sunk a rear naked choke on Cameron Miller (3-1) to win by submission at 1:44 in round two. Catchweight Fight (150 pounds) - Fernando Salas (5-1) defeated Jessie Vasquez (2-3) by unanimous decision (29-28, 29-28, 29-28).